Sedgwick Avenue from the intersection of the Wheatfield Road. This view was taken facing north at approximately 8:30 AM on Sunday, December 20, 2009. 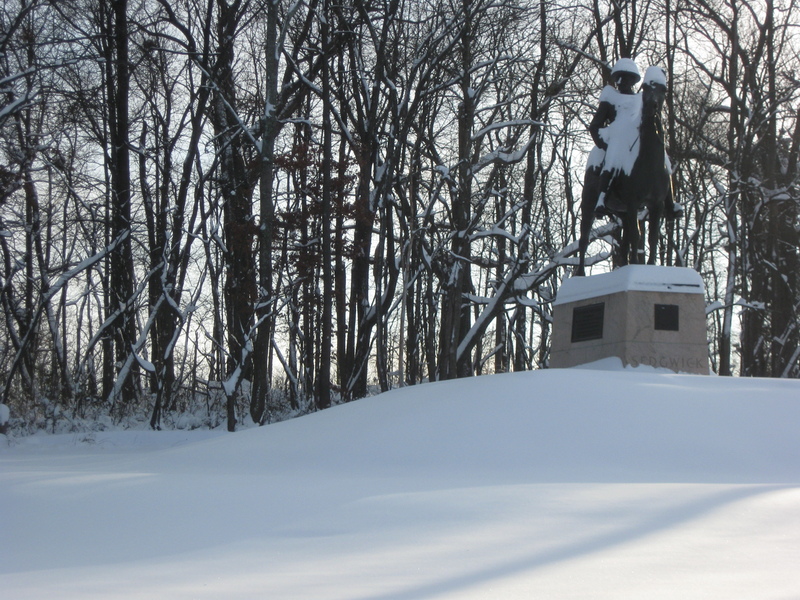 We continue our presentation of photographs taken during and after the December “blizzard” which officially brought 16 inches of snow to the Gettysburg area on Saturday, December 19, 2009. Today we took a short walk along Sedgwick Avenue concentrating on the Sedwick Equestrian Monument. If other monuments got in our way, we took pictures of them also. 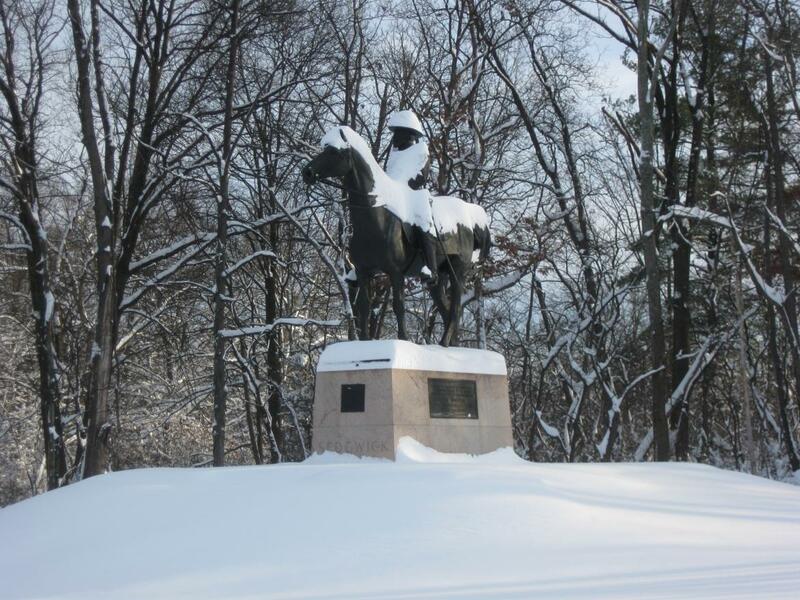 Although Major General John Sedgwick was a native of Connecticut, most of the monuments near his statue are from the State of Massachusetts. For instance, the 2nd Rhode Island Infantry Regiment. Rhode Island is really just a Massachusetts County, isn’t it? This view was taken facing northeast at approximately 8:30 AM on Sunday, December 20, 2009. 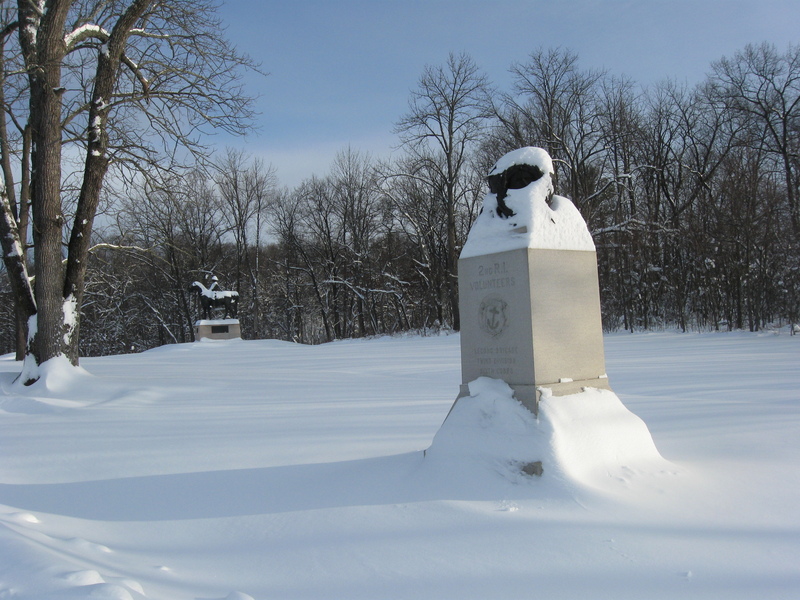 The monument to the 7th Massachusetts Infantry Regiment is on the right. The Sedgwick Equestrian Statue is in the middle. 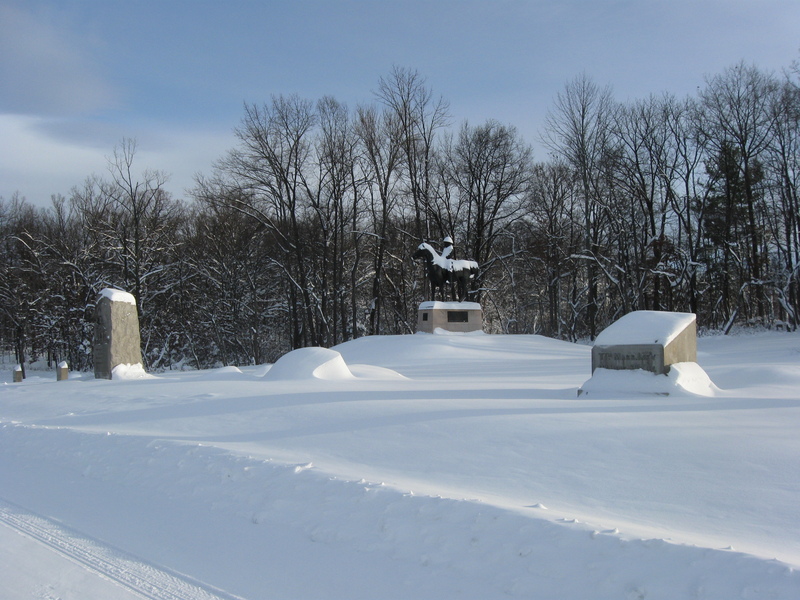 The monument to the 1st Massachusetts Cavalry is on the left. 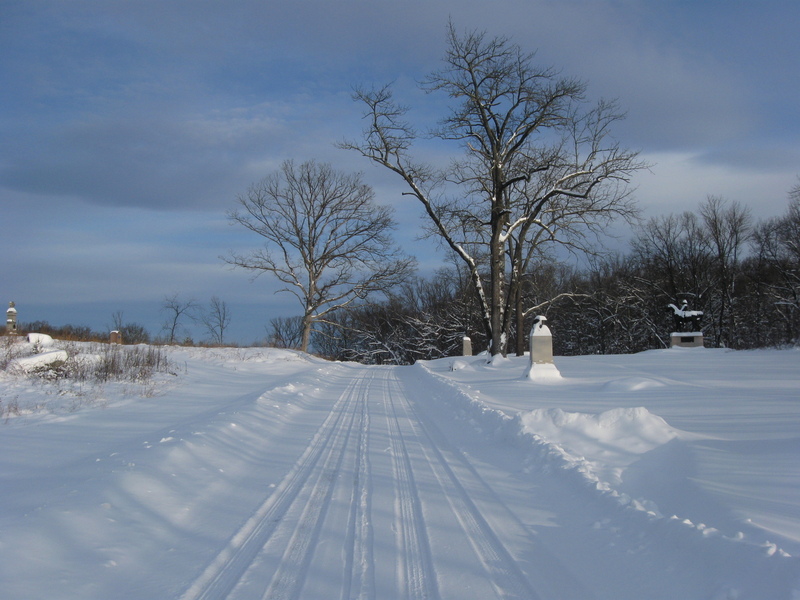 This view was taken facing northeast at approximately 8:30 AM on Sunday, December 20, 2009. 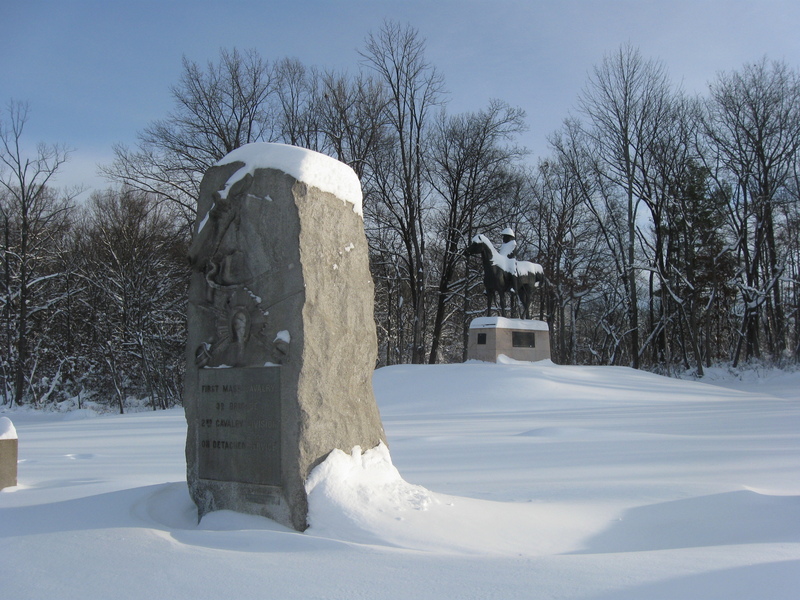 The monument to the 1st Massachusetts Cavalry with the Sedgwick Equestrian Monument in the background. This view was taken facing northeast at approximately 8:30 AM on Sunday, December 20, 2009. The Sedgwick Equestrian Monument. This view was taken facing northeast at approximately at approximately 8:30 AM on Sunday, December 20, 2008. This view was taken facing east at approximately 8:30 AM on Sunday, December 20, 2009. 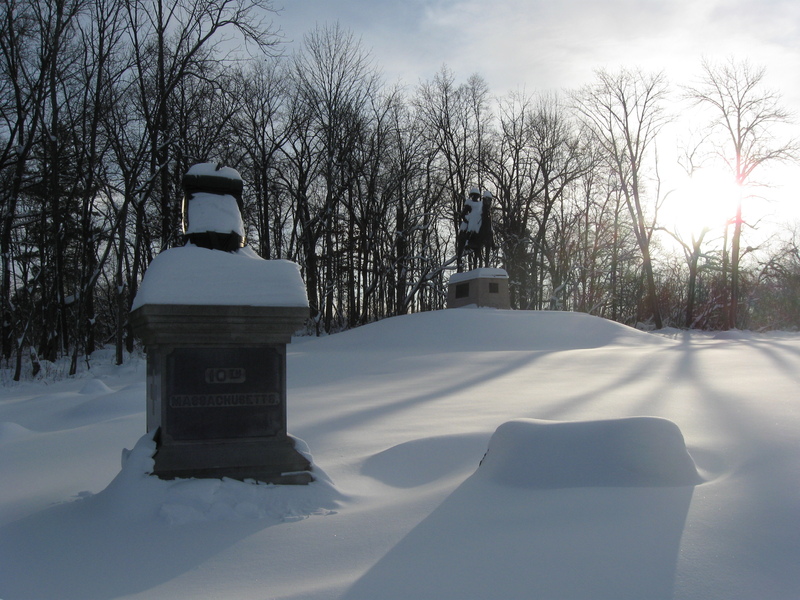 The monument to the 10th Massachusetts Regiment is on the left. This view was taken facing southeast at approximately 8:30 AM on Sunday, December 20, 2009.